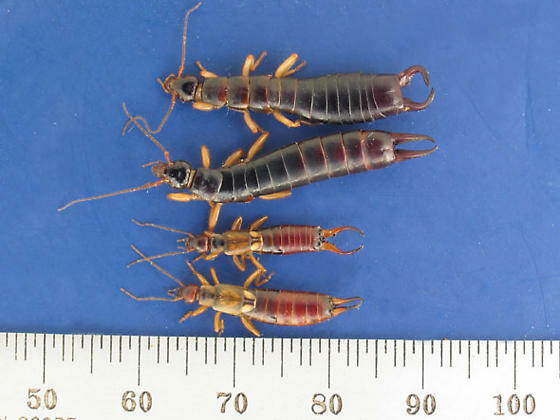 To appreciate how large these earwigs are, this shot contrasts these with a male and female of a more normal-sized species, Forficula auricularia. is not an intertidal species. Taken by sweeping vegetation along the trails - probably feeding on flowers at Odiorne. Was going to comment on what are obviously Anisolabis (males have the asymmetrical forceps), and question the comment on Forficula. I just now noticed the two Forficula in this image!